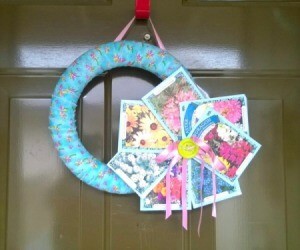 This cute springtime wreath is decorated with colorful seed packets. It would look nice on your front door or a deck or patio. 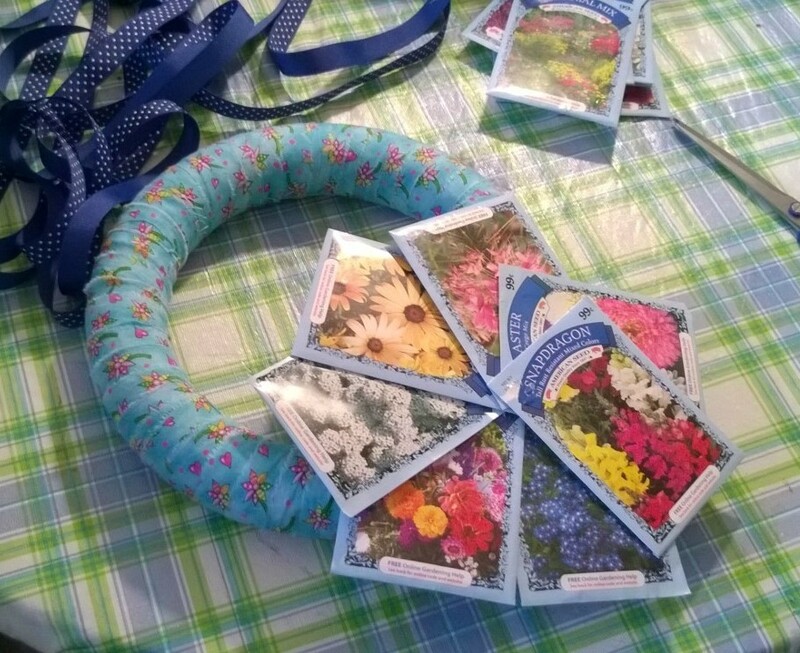 This is a guide about making a spring seed packet wreath. I knew it was time for the heart wreath to come down and something springy to go up. 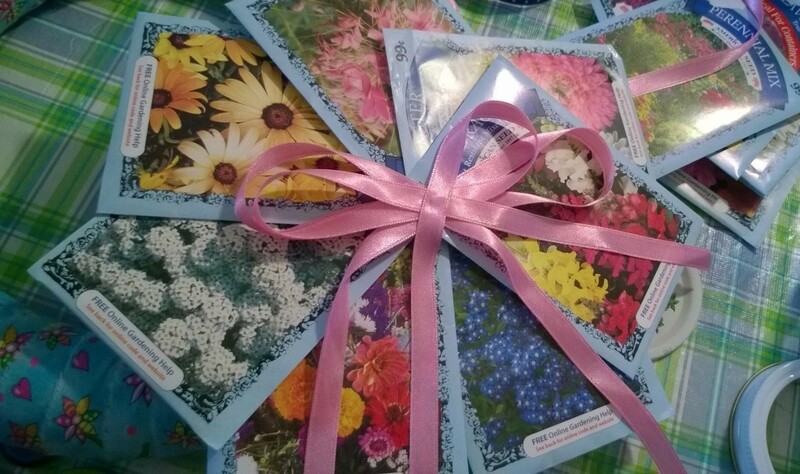 Nothing says new like flower seeds! 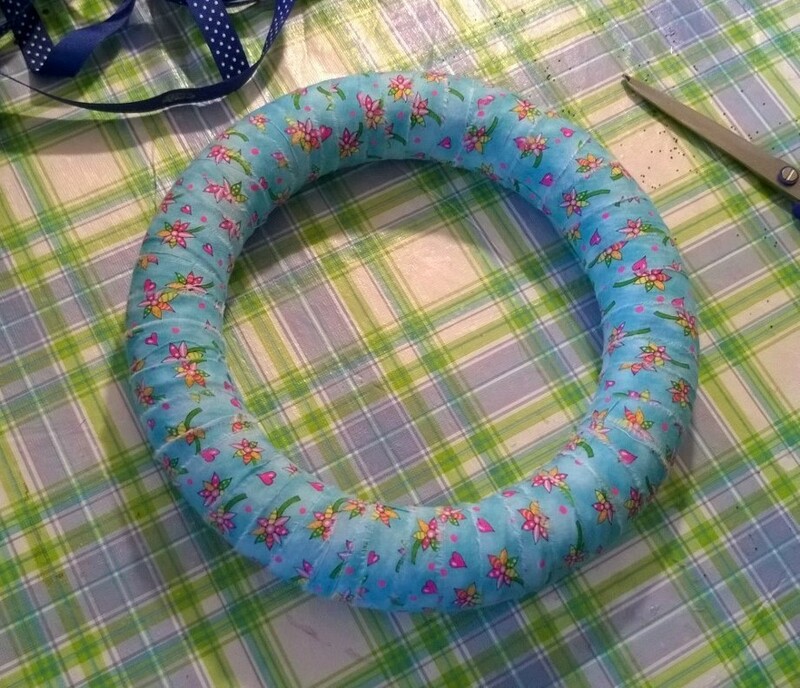 Rip or cut your fabric and hot glue it to the ring. When done, pick the seed packets you want to show and fan them out, gluing as you put them on the ring and then on each other. They should resemble a flower. Make your bow or ribbons in your choice of color. There was a lot of blue so I chose pink. I used my darning needle and thread to make the button look like it was sewn onto the ribbon and then glued it on for the final touch. 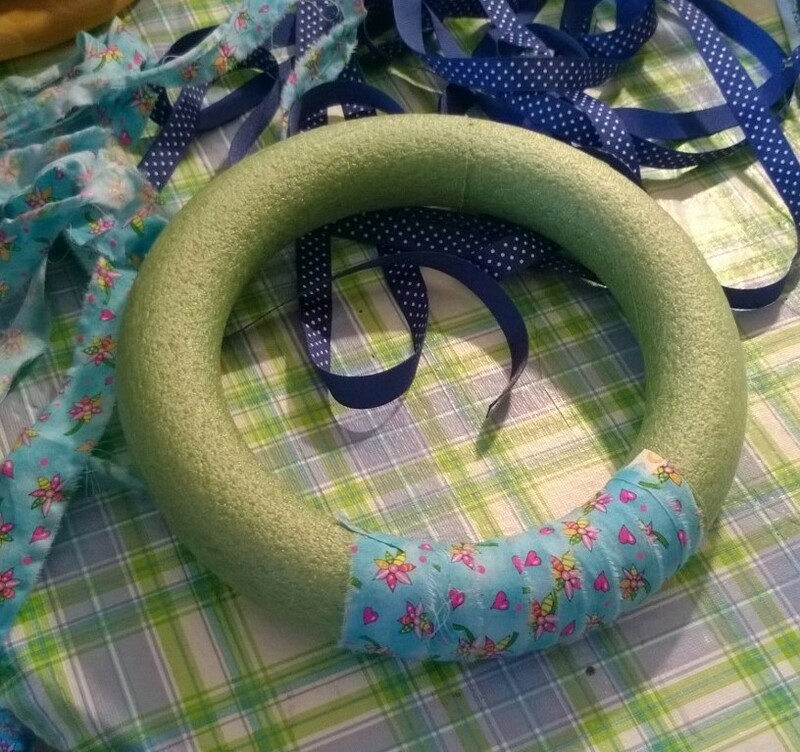 I glued some matching ribbon for the hanger and it's done. 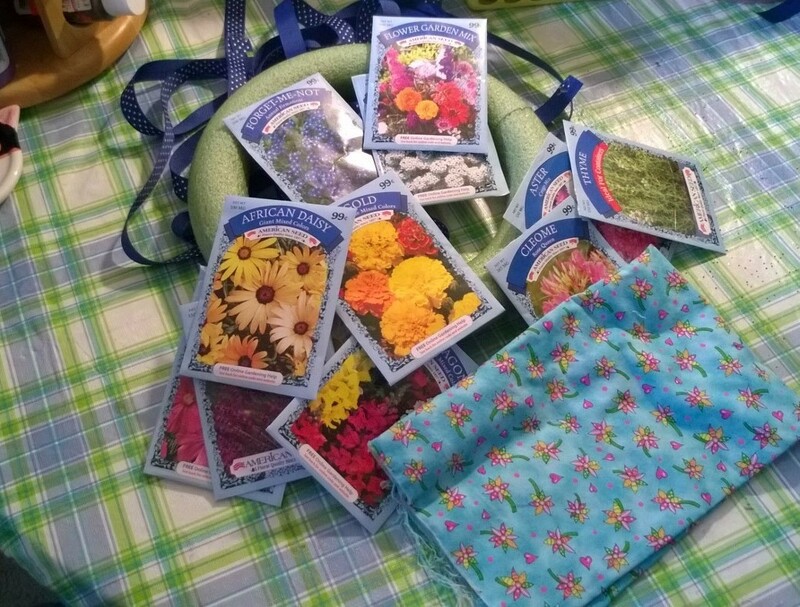 NOTE: I got the seed packets from the dollar store for .25 each. If you want to take the seeds out you can, but I left mine inside. 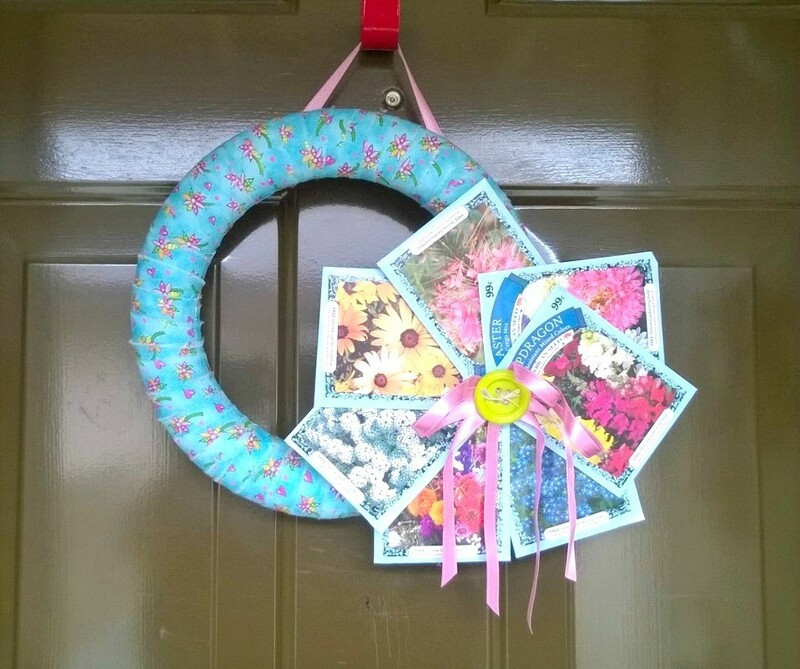 The wreath is not to be hung where the rain can get to it, but my door is covered and you can always make it for inside, too. N-JOY!! I like this! Fresh and announces Spring is coming - time to plant those seeds! Any gardener would love this for a gift. Very good idea. Thanks. I remember my mom could spit in the ground and grow roses where I can't make anything grow but mold! Thanks Betty and you are welcome. Spring and Fall are my two fav' seasons and no I can't pick one to win out over the other. I love when things are waking up and going to sleep.